Finally! It is here. The book I've been waiting for! 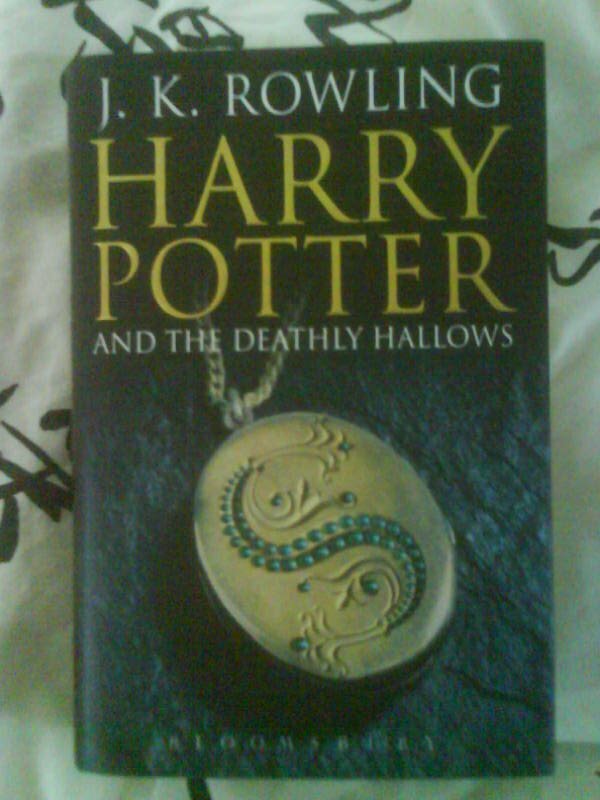 Finally I will know the truth about dumbledores death, the horcruxes and how it will all end. Now, I shall begin my journey. I finished my journey into the wonderful world of Harry Potter after 12 hours of reading. Great story! Though I think some parts where rather missing some sort of explanation...and...well I am not going to tell more about what happens... No spoilers from me! I just found you by clicking on "Next Blog." I am about one year younger than you. Your English is very good! Good luck learning Japanese! I have not started reading the last Harry Potter book because I was in the middle of another book when it came out. I will probably start over the weekend. The cover on my copy is different than yours.